No matter how well-kept your warehouse or how hard your staff works, it feels like there’s always something that needs repair or upkeep. That’s not a judgment on the quality of your warehouse, just a simple fact of life: stuff breaks down eventually, and staying on top of it well enough to fix it before it becomes a huge problem is a smart and practical decision. Pallet racks: As one of the most commonly-used types of warehouse shelves, most pallet racks are subject to heavy loads, constant wear and tear, and the occasional bonk from a forklift or large inventory package. In a lot of cases, pallet racks can be maintained with semi-regular replacement of pallet rack decks to keep the shelves intact, as well as frequent inspection and replacement of the bolts used to connect the decks to the upright columns. In extreme cases you may have to replace the entire framework, but this should be less of an issue unless something really big happens to bump into it. Forklifts: Despite all the special certification needed to drive them, forklifts are just like any other engine—think of them as tiny cars, and you’ll get an idea what needs to be done to keep them up and running. Perform frequent battery checks, make sure the oil changes are done at the correct intervals, and always keep the tires properly aligned to allow your forklifts to roll smoothly. Automatic doors: Automated doors are a huge convenience in most warehouses, allowing for easier access to certain areas and easier transport of large items through the warehouse—so long as they open properly. Depending on the design of the door, the pulleys may have to be replaced or cleaned occasionally for proper operation, or the gearboxes may need to be lubricated, replaced, or re-wired to keep them opening as needed. 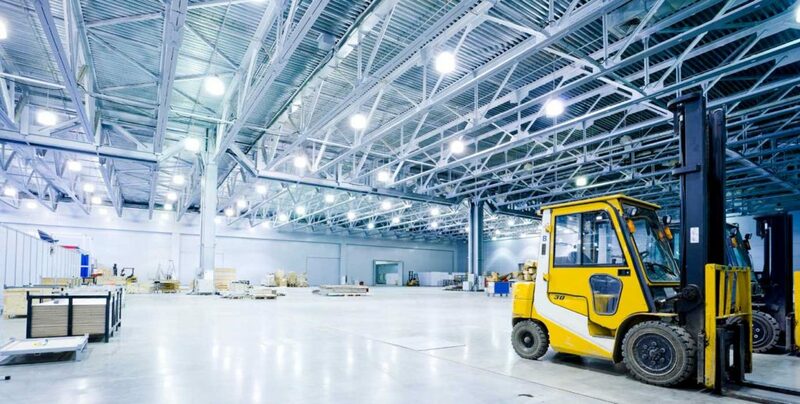 Cleaning equipment: Every warehouse needs to get prettied up sometimes, but the irony here is that the equipment you use for cleaning will, itself, need to be cleaned and attended to. Take time to review the stuff your staff uses for cleaning like ride-on floor cleaners to make sure they all have a good battery charge and don’t need any brushes or wheels replaced, make sure all your mop heads aren’t tattered, and then check and make sure you’ve got all the soap you’ll need (as it can be more than you expect). Mezzanines: This can be a big one, but it’s worth inspecting for safety purposes. Warehouse mezzanines need to be looked over to make sure the pillars are properly anchored, the bolts are all mounted where they need to be, and nothing is affected by rust or visible damage. Mezzanines are a convenient addition to any warehouse or factory but they can become a safety hazard if not installed or maintained correctly, and frequent review of its structure can make all the difference when it comes to warehouse safety.